Enigma – BURAK & MUSICA SEQUENZA Baroque is the new pop! ENIGMA, Burak Özdemir’s latest work based on Beethoven’s oratorio “Christ on the Mount of Olives”, is a dedication to the ultimate human instinct; the fear of death. Ludwig van Beethoven wrote his first and only oratorio, Christ on the Mount of Olives (Christus am Ölberge) within only 14 days. The work was premiered in Vienna on April 5th, 1803. In response, Burak now accepts the challenge to create his Enigma also in 14 days. The main focus of Beethoven’s oratorio is not the Crucifixion nor the Resurrection, but Jesus accepting his fate; to die as a human being. 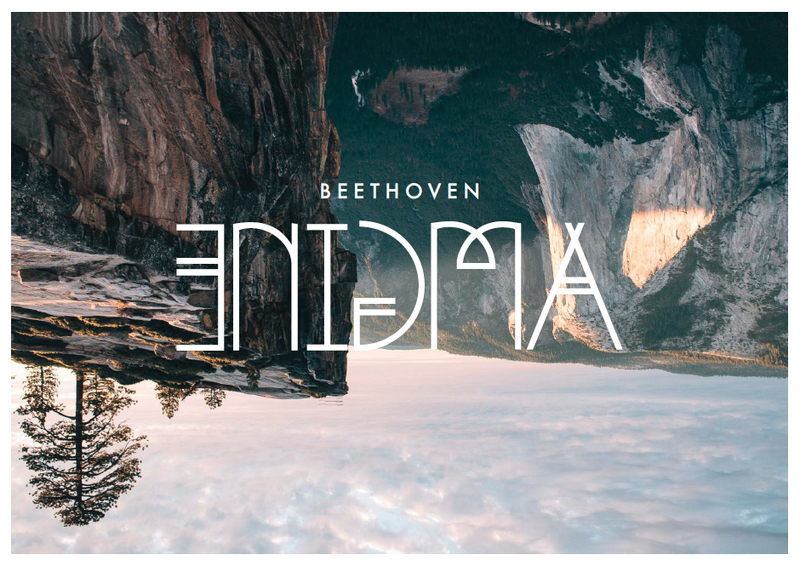 Enigma is written for solo female voice, chamber orchestra and live electronics, inviting the audience to witness how Jesus’ inner self and his deepest thoughts progress in the mentally most challenging chapter of his mortal life. One of the most essential ingredients of human existence is fear. Immersed in pitch darkness, the audience having absolute no vision of perception, discovers Jesus’ mental fight against the fear and winning the battle at the end, enabling him to reach a peaceful state of mind. The work is being performed in complete darkness in a black-box theatre, allowing it’s audience to experience a new way of listening without any sense of visual input. The only sense that functions in in the room is hearing. Enigma is a meditative, yet a heterogene collage of sound sculpture, a radical mixture of voice and instruments augmented by 3D audio design and surround sound effects, offering spheres of dramatic introspection. The finale lets the light emerge, none of the performers appear on the stage anymore. The empty chairs and the remaining instruments in silence, resemble the disappearance of Jesus in a quiet, heaven-like dream, yet sadness of his missing existence surrounds the room. After the risen lights the darkroom turns into a white-box, where the performers reappear on the stage for the last time in bright white outfits. The Enigma no longer exists. The performances duration is approx. 75 minutes with no intermission.